Brandon, Florida 22N is Back at O'Briens Irish Pub | Brandon, FL!! How well do you know your significant other? 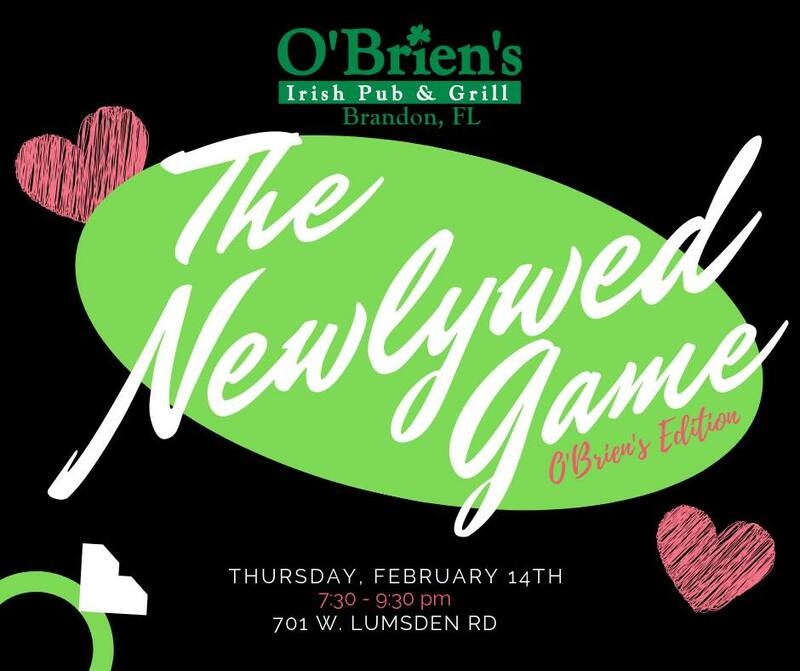 Join us on Thursday, February 14th at 7:30 pm for The Newlywed Game, O'Brien's Edition! If you think you have what it takes to play, sign up at Tamra@OBrien'sPubsBrandon.com House cash prizes for 1st & 2nd! A great place to meet friends for a few drinks, catch any sporting event or dance the night away. We feature over 30 TV's, fantastic live entertainment, awesome food and a great Irish pub setting.